Your registration includes: an official Road Runner race shirt, drawstring pack and lots of great swag! 5K participants will receive custom Road Runner 5K Finisher medals and 1K participants will receive ribbons. 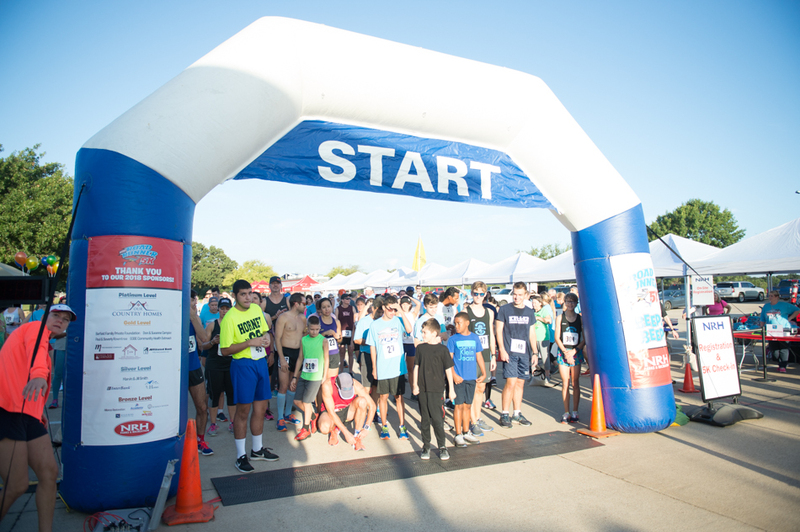 All BISD campuses can show their school spirit at the NRH Road Runner 5K! For every student that signs up for the Road Runner 5K, $5 will go back to your school to the Physical Education program. Gather up lots of students and on the registration page, be sure and list which school you are participating for! We encourage teams to join us. Get some friends together and get a discount. Eight member minimum, then contact us for a group code! Awards will be presented three deep in each age group for the 5K Run. Participation ribbons will be given out to all 1 Mile Fun Run participants. TEAMS: 8-person minimum, discount code for team members. Contact rsteele@nrhtx.com for team code. VIRTUAL RUNNERS - $35 Contribution thru September 20 will have t-shirts mailed prior to race day. Registrations after September 20 will receive t-shirts by mail after race day. ** T-shirt size/availability only guaranteed if registered by September 20. Register Now to get the Early Bird Rate!